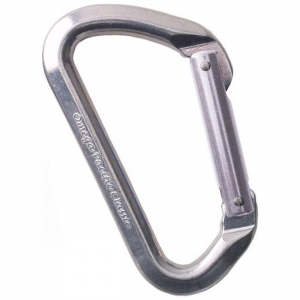 The Aluminum Rappel Ring is forged aluminum for bail-outs and rap stations. Anodized gray for minimal visual impact. Solid construction (not hollow) for 20kN minimum breaking strength (over 4400lbs)! Not intended for repeated lowering. Take the guesswork out of building your 'draws with the Classic Dirtbag Draw from Omega Pacific - giving you low cost and dependable operation. 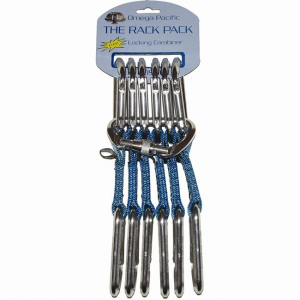 It combines a 4-inch draw and a bent- and straight-gate Classic Carabiner all into one svelte package. Even if you're on a budget and living in the dirt, you still deserve Omega Pacific quality! They stripped away all the frou-frou to provide you a basic, reliable and easy-to-use quick draw at home on long routes and clip-ups alike. 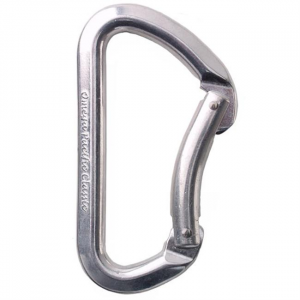 Versatile and tractable, the Omega Pacific Five-O Locking screwgate carabiner fits well in your hands, has a huge gate opening, and features a rope-friendly True Radius. 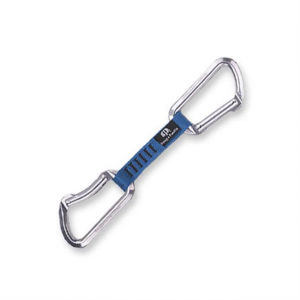 Versatile and tractable, the Omega Pacific Five-O Straight Gate carabiner fits well in your hands, has a huge gate opening, and features a rope-friendly True Radius. 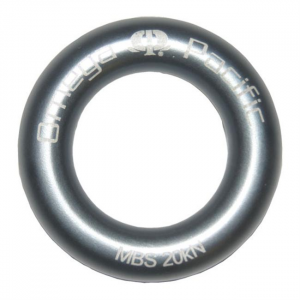 The Omega Pacific ISO Locking D carabiner has an ideal, simple shape designed for maximum strength with ease of use.